Bots and human spammers are a big problem for many large forums. Some forums have resolved to the use of complicated methods such as; manual approval, difficult captchas, and long questions to combat these spammers. While these methods work at times, they aren’t the quickest fix for bots registration on forums. Even though we’ve talked about fighting SMF Spammers in the past, we’ll like to introduce another solution that’s faster than the ones we recommended earlier. That is the basis for today’s post; showing you the best way to stop bots registration and human spammers on your SMF forum website. The malicious activities of these spambots are no longer news to forum owners. The complicated CAPTCHAs and puzzles are no foes to most of these intelligent bots; so what’s the way forward? Well, recently we found a better alternative to reCAPTCHA for SMF Mod. It works as good as Anti-spam WordPress plugin that we’ve been using for more than six years already. The mod is called CleanTalk; a premium spam buster that works without annoying your visitors with puzzles and CAPTCHAs. Download CleanTalk Anti Spam Mod for SMF: To do this, go to their official listing page and download the latest version of the mod. Install the Mod to your forum website: To do this, log in as an admin to your forum, ==> click on Admin ==> Package Manager ==> Download Packages ==> Upload a Package ==> Browse ==> select the package you’ve downloaded in step 1 above, and then click on the upload button. Activate Mod: Once you’ve completed the preceding step, click on the Install mod button, and allow it to redirect you to the module’s settings page. If it doesn’t do this automatically, you can get access to this page by navigating to; Admin ==> features and options ==> configuration ==> modification settings ==> Antispam by CleanTalk. Enter Access key and Enjoy: Use the automatic access key option to generate a valid key for your forum and then the admin option to configure everything else. Do not forget to disable captchas and other annoying puzzles as soon as the mod is activated on your forum. Note: CleanTalk Antispam mod is only free for seven days trial period: After that, you’ll be required to pay $8 yearly to keep the protection active. Efficiently protects your forum against spambots and manual spam actions. Eliminates bots registrations without using maths, Captchas, questions, puzzles, etc. Comes with an intelligent SpamFireWall that allows you to filter spambots before they access your website; thereby improve load time and also reduces hosting resources/CPU usage. Uses multiple anti-spam tests to meticulously filter spambots with the lower false/positive rate. Blocks registration from fake, disposable, temporary, and non-existent email addresses. Automatically block registrations and comments from your private (IP/email address) blacklist. Can block comments by stop words and can also check already existing users for spam profiles. While the mod above can help you fight bots and automated spam scripts, human spammers are another big issue for forums. 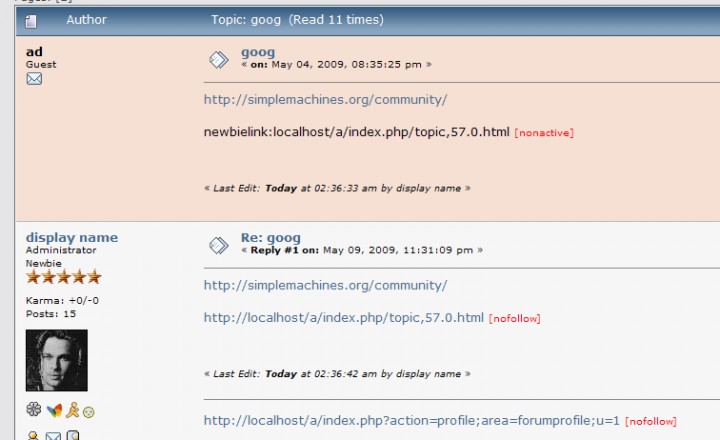 The best solution we’ve found for stopping forum link spamming is the use of Anti-Spam Links mod for SMF. While users that signed up with their real social media profile are easily discouraged from spamming the forum, others are not. Modules like Anti-Spam Links for SMF help you combat such spammers. 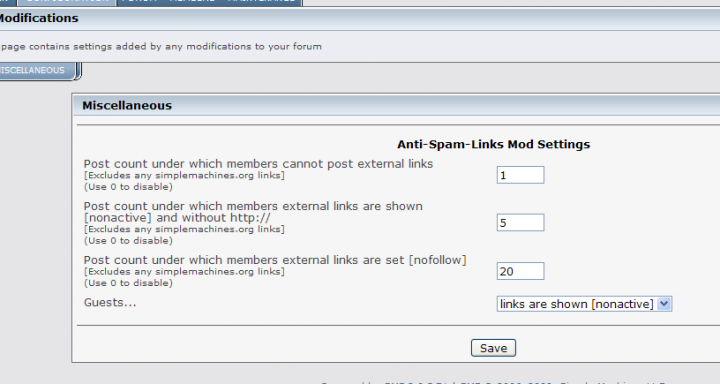 Just like CleanTalk mod, Anti-Spam Links SMF modification makes it easy to discourage forum link spamming. It encourages new users to focus more on creating values than shameful promotions. To use Anti-Spam Links for SMF mod, just download the latest version of the modification from their SMF listing page and follow after the earlier steps (discussed above) to complete the installation. Once the installation is completed, ==> go to the settings page and add the resistive settings (based on postcounts) to help curb link spammers and shameless promoters. Can prevent new users from posting a link(s) on their first post. Can set links to [nonactive] or [nofollow] based on user’s post counts. Helps you control what users get a link that passes link juice (pagerank). It is free and comes with no obligation. Would you like to tell us the best methods you use in combating SMF forum spambots? 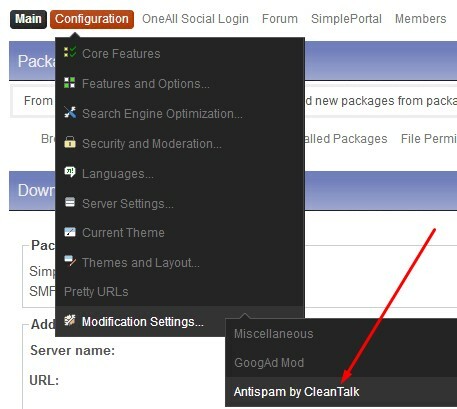 Let’s hear your opinion and take on CleanTalk anti-spam mod below. Next ItemLanding Page Monkey Review 2019: a Better Squeeze Page Builder? Previous ItemCocospy Review 2019: a Flawless Phone Tracker App?